Deleuze, Gilles (1991) Masochism: Coldness and Cruelty and Venus in Furs (Présentation de Sacher-Masoch) trans. Jean, McNeil. Cambridge, MA: MIT Press. Johnson, Robert A. (1994) Owning Your Own Shadow: Understanding the Dark Side of the Psyche. San Francisco: Harper. 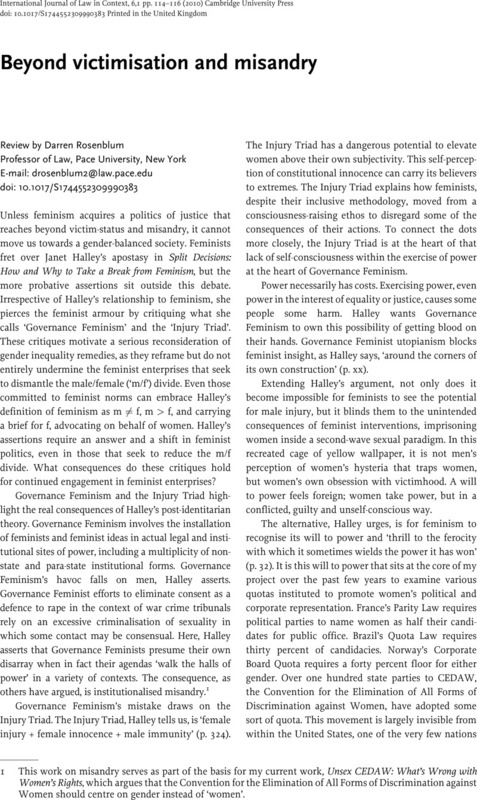 Mansbridge, Jane (2001) ‘The Descriptive Political Representation of Gender: An Anti-Essentialist Argument’ in Klausen, Sytte and Maier, Charles S. (eds) Has Liberalism Failed Women? Assuring Equal Representation in Europe and the United States. New York: Palgrave, 19–38.